Bluebonnet's CellularActive CoQ10 Ubiquinol Vegetarian Softgels provide 50 mg of the "active" antioxidant form of CoQ10 (ubiquinol) rather than the popular, oxidized form (ubiquinone), which must be converted to ubiquinol in the body. 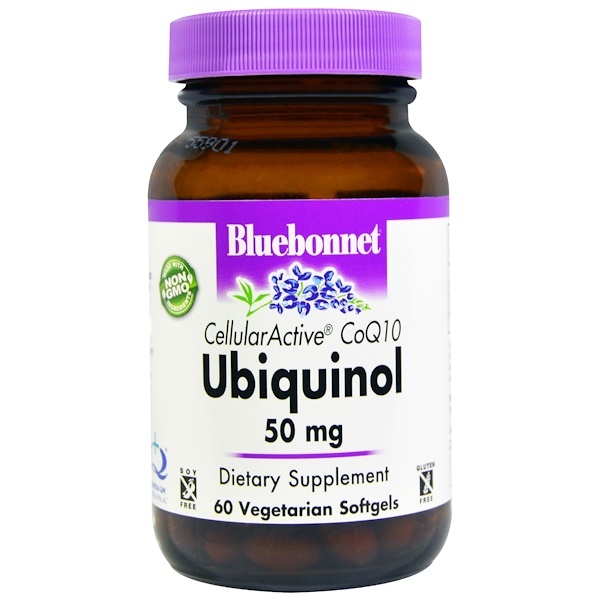 Aging, intense training and certain medications like statins compromise the levels and/or natural production of CoQ10 in the body, as well as the conversion of ubiquinone to ubiquinol. 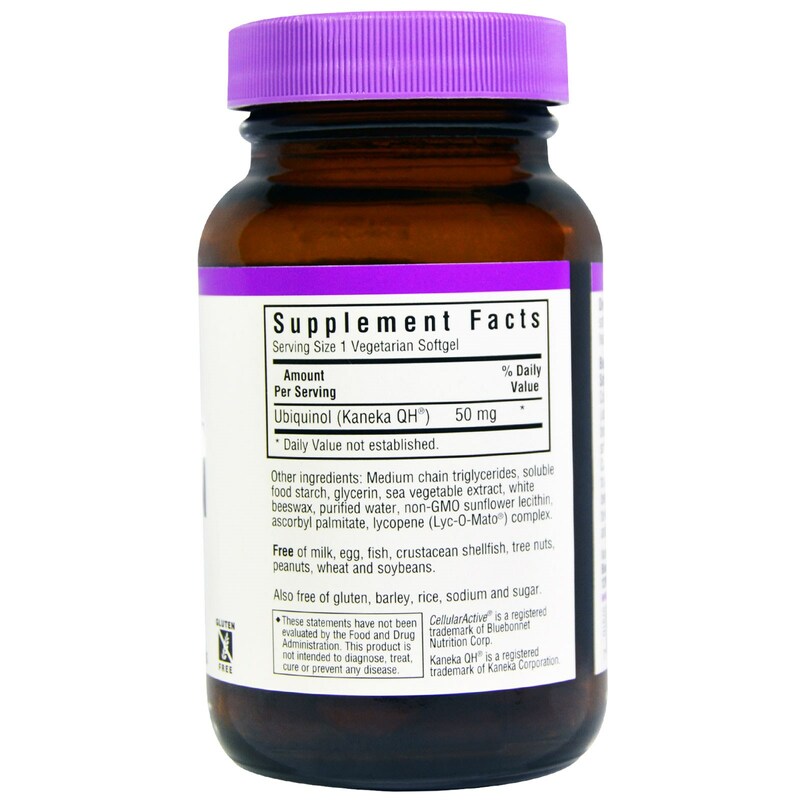 That's specifically why athletes and seniors benefit from ubiquinol supplementation. Available in easy-to-swallow vegetarian softgels for maximum assimilation and absorption. Soy-free and suitable for vegetarians. Medium chain triglycerides, soluble food starch, glycerin, sea vegetable extract, white beeswax, purified water, non-GMO sunflower lecithin, ascorbyl palmitate, lycopene (lyc-o-mato) complex.